Negligent credentialing puts patients at risk and exposes hospitals, healthcare facilities, and urgent care centers to significant legal liability. Even though medical malpractice payouts by insurance companies have fallen 55% between 2009 and 2014, medical errors are still one of the leading causes of death in the United States. Let’s take a look at three reasons why these errors typically happen, and how your organization can reduce the likelihood of negligent credentialing. Is your credentialing team large enough to handle a typical medical staff office workload? Do they have access to the technology and tools to get the job done properly? After all, the process is complex. Unfortunately, many credentialing departments lack the resources they need to process credentialing applications efficiently and effectively. Without the right resources, workflows will slow down, leading to delays and breakdowns in the process. The solution is to ensure that you have a good grasp of the scope of your credentialing work, and ensure that you have the staffing levels and resources to handle it effectively. Consider auditing your process and resources to find gaps in efficiency, roles, and processes. Consider this scenario: your healthcare organization has just acquired a new hospital to add to its network. Suddenly, your credentialing team has to process a merged staff with 500 new medical providers who need to be integrated into one set of systems and databases. While this situation is rare, if it happened – in addition to your existing workload – you would need to add demographics and delineated privileges to your database for your integrated medical staff. ... all of which add time, effort, or both, and can put downward pressure on existing efficiencies in the process. It’s in these types of data conversion/system maintenance scenarios that many errors occur. The solution is found in automation tools and intuitive provider management software to complement your internal processes and enhance the capacity of your team. Spikes in MSO workloads can happen at any time, and modern software for provider management gives your team the ability to manage disruptions without compromising critical functions. There’s no doubt that technology can significantly improve the efficiency of the credentialing process. Credentialing software solutions let you organize and streamline your workflows while adhering to quality assurance standards. Unfortunately, technology adoption isn’t universally consistent, with many smaller hospitals and physician practices still managing the process by hand. Manual processes are especially prone to error: applicants must complete and submit lengthy forms, which have to be filed and sorted; documents can easily be misfiled and verification steps missed because the steps weren’t properly logged. Plus, when you consider that a typical provider is required to spend as much as 49% of their time on administrative tasks, it’s not hard to imagine the impact manual data entry can have on the quality of care. Without the appropriate technology to capture and manage the copious volumes of data required for a successful credentialing outcome, manual processes can delay the process or make it easy to overlook critical details. The solution: with advancement in provider management technology, hospitals now have the ability to automate more and more of the process. From automatic form completion to generating and issuing applications, software can help eliminate a lot of the manual work. Gaining awareness of and avoiding these common credentialing errors is essential in maintaining patient safety and reducing your organizational liability risk. Making sure that your credentialing team has the proper resources, access to the right technology, and a manageable workload will go a long way towards ensuring a successful credentialing process. symplr covers all the angles – from the credentialing, enrollment, and privileging of providers to tracking provider and practice quality to managing vendor and visitor activity in your facility – with advanced solutions, services, and support. 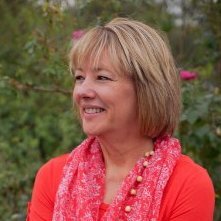 Jan Laws is a member of the Product Management team at symplr. She holds both CPMSM and CPCS certification distinctions through NAMSS. Prior to joining CACTUS/symplr, Jan served for more than 20 years in the Medical Staff Services field. Her experience includes roles in centralized verification organizations’ operations, medical staff management in both system and single hospital organizations, and provider credentialing. Jan eagerly shares her expertise through learning experiences that enhance the positive collaboration between symplr teams and our clients. In addition to her expertise in medical staff services, Jan is a licensed professional counselor who operates a successful private practice.